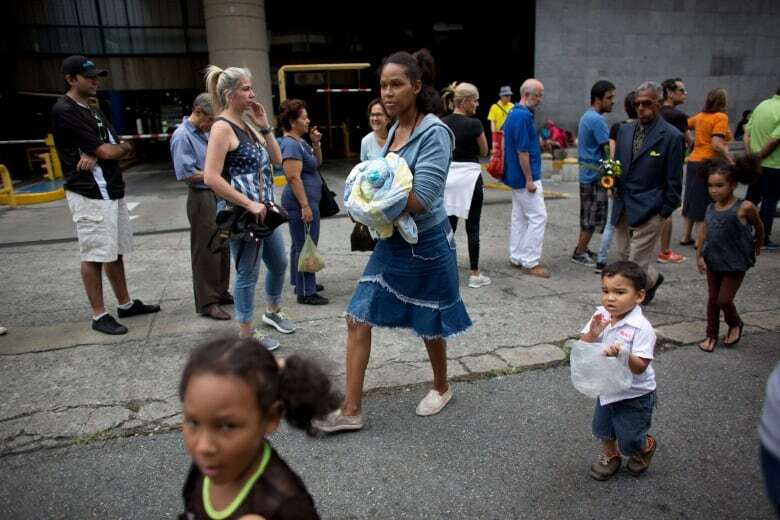 After five years of economic crisis, many Venezuelan mothers are undernourished and baby formula is hard to come by. Now, through informal networks, other women are stepping in to help. Many mothers in the South American country are unable to produce nutritious breast milk for their children as they're often going hungry themselves. Hyperinflation, estimated to exceed one million per cent this year, has led grocery prices to skyrocket. Baby formula, if it appears on store shelves at all, is so expensive that it's out of reach for most. Now, a black market for the product has cropped up. Volunteers are offering the informal networks as a solution, which raises some safety concerns. "That's a very old tradition in humanity," said Dr. Marianella Herrera, head of the Venezuelan Health Observatory, about sharing breast milk. "If we see back many, many hundreds of years ago, that was one of the way humans survived in [the] Middle Ages." In two low-income Caracas neighbourhoods she surveyed, Herrera estimated that two in 20 mothers are feeding their babies with another mother's breast milk. The system, supported by some physicians and groups in the region, is helping to keep babies alive and thriving. Herrera first encountered mothers donating their breast milk two years ago when she met a woman breastfeeding two babies and remarked that they couldn't both be hers. "She [answered], 'No, this is my nephew,'" Herrera told Day 6 guest host Rachel Giese. Child malnutrition, a condition typically seen only in abuse cases in the oil-rich country, are on the rise, according to a December report by the New York Times. Doctors across five hospitals told the Times that they were receiving cases with a level of severity typically seen in refugee camps. "Sometimes they die in your arms just from dehydration," one doctor told the Times. The doctor also said some children arrive the same height and weight as newborns. Amid the formula shortages, parents have turned to other sources of food for their children. It's common for desperate parents to feed babies starchy water produced from boiling rice and pasta. That water, Herrera said, isn't nutritionally adequate for babies and can lead to malnutrition, which can lead to health problems later in life. Malnourished babies are thin, they don't grow as they should, and they're often tired. It's a condition that parents in the region are increasingly aware of. 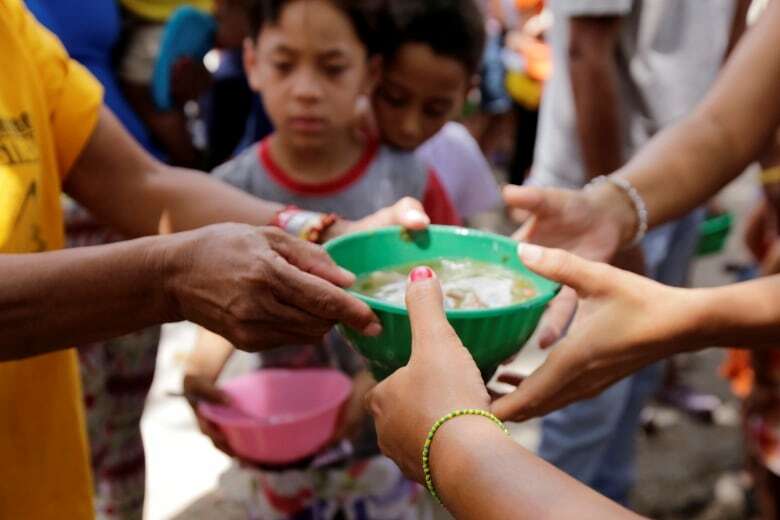 "They are being educated about the undernutrition signs and symptoms, so they are really doing their best for helping each other and asking for help," Herrera said. Breast milk from another mother, then, is the next best option. As long as proper hygiene is observed and the breast milk is good quality, there's little risk from sharing breast milk, Herrera said. "It will only be better than nothing for those babies, particularly for those under six months which is the age to be exclusively breastfed." But cleanliness is a concern. Milk donated by women and transported in bags and containers must be sterilized. "Hygiene is definitely a problem here," Herrera said. 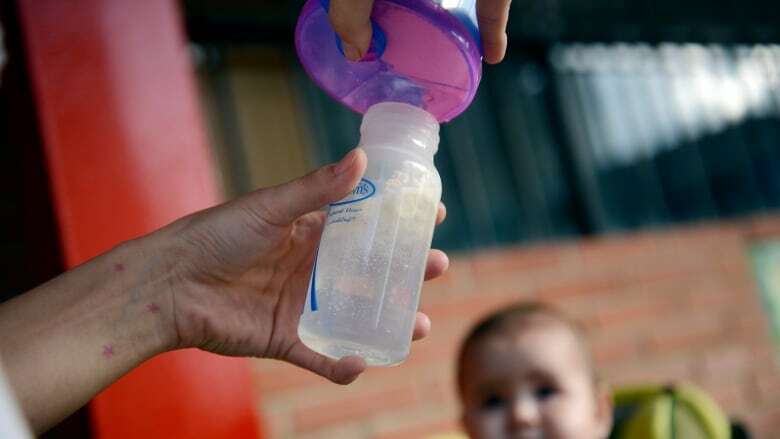 Support groups and programs set up by doctors, including one at the University of Zulia, have popped up to offer safer ways of donating breast milk. Despite efforts to make breast milk more accessible, problems remain — particularly for premature babies that may require specialized formula that is unavailable. The long-term effects also alarm Herrera. There's an association between poor nutrition in early life and chronic diseases down the line, she said. Future conditions can be avoided if they're caught before two years of age, according to the doctor. However, if malnutrition is left untreated, a variety of problems can surface later in a child's life. "All of the cardiovascular diseases, some types of cancer and diabetes [are] coming for that person," she said.